Hey it’s Alaska but it’s still fishin’! The weather has been absolutely beautiful! (See below.) Which is a good thing and also a “bad” thing. Temps have been in the high 70’s and even up to 80. This causes the snow to melt and the rivers to rise. (And it has just dawned on I have not taken one picture of the rivers.) I took the camper to Willow and Montana creeks (Thursday – Saturday) but to no avail. The Parks highway streams are all blown out. 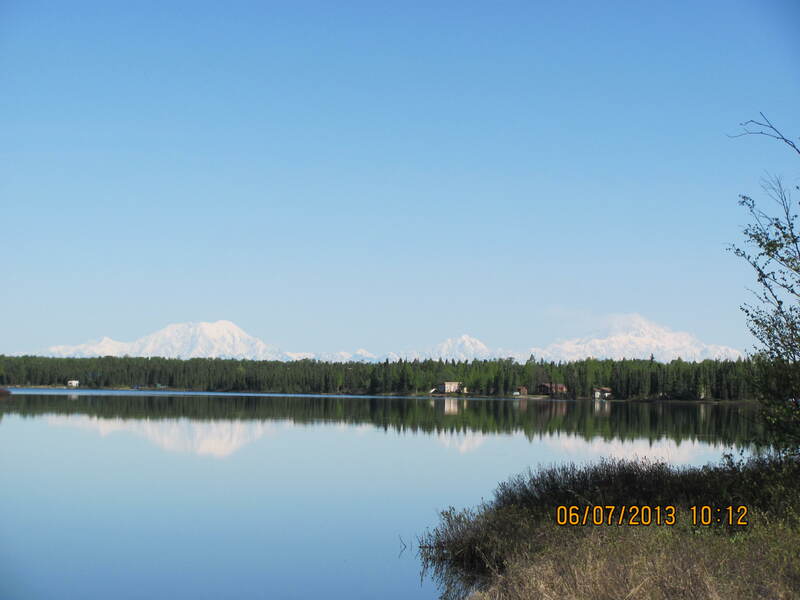 And the Kenai Pennesula is closed for trout until Tuesday. So I haven’t caught a single fish! 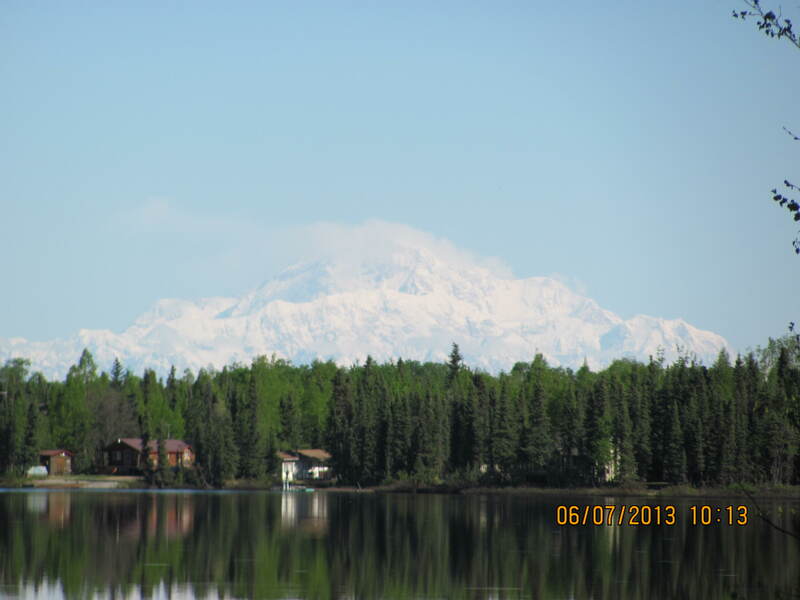 Planing on going to the Kenai after church tomorrow and waiting for Tuesday! Later in the week a friend of Brent’s, Nate, may be taking me rafting on the Kenai River for trout and reds! 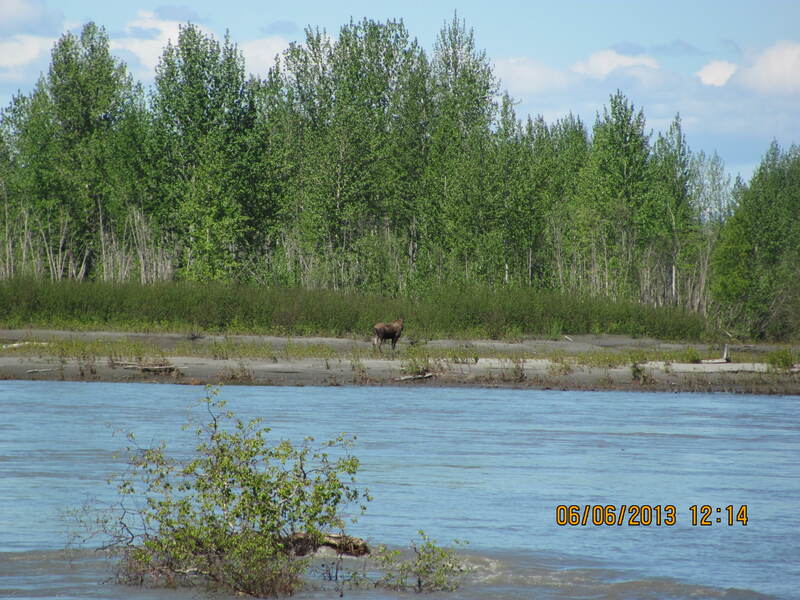 I guess you can see the Susitna River and the moose.